Who needs a new game, huh? Due to the huge success of our first entry in the Nintendo Life Book Club (our look at the novelization of Castlevania II: Simon's Quest, which you can read here), we have decided that it's a series worth continuing. Yes, it took us two solid years to reach that conclusion. Leave us alone. The point is that we're finally adding a second entry to our Book Club, so that we can comfortably ignore the feature for another 24 months. This time around we're also taking the opportunity to celebrate the 25th year of Mega Man. We figure somebody has to, as Capcom's given us soundtracks, action figures, comic books, board games and tissue boxes, but has steadfastly refused to give fans the one product they want most: a really terribly written Mega Man novel. Fortunately, F.X. Nine (don't call him Seth Godin) and writer Ellen Miles foresaw exactly this shortage of Mega Man literature, and novelized Mega Man 2 back in 1990 for our enjoyment. That's the book we'll be looking at today, and regretting having read tomorrow. As you'll remember, the novelization of Castlevania II wasn't really Simon's story; it followed Tim, a young, irritating, video-game obsessed brat that was clearly designed to mirror the reader in every way. This at least made some kind of sense, from a literary perspective, because it gave the author something to do other than describe what enemies looked like. In the case of Mega Man 2, a similar attempt is made to give us a richer story. It fails massively but, hey, at least Ellen Miles tried. But we'll get to that in a moment. Our story opens with a scene of Dr. Light summoning Mega Man to his lab. "Mega Man," said Dr. Light. "I hate to have to tell you this news, but--"
"I know, I know," said Mega Man. "I saw it on the news-beam. Dr. Wily is back." First of all, whatever a "news-beam" is, if Mega Man saw it and learned that Dr. Wily was trying to conquer the world again, shouldn't he have taken the initiative and not waited around for Dr. Light to invite him over for a chat? And secondly, Mega Man really needs to get equipped with keeping his mouth shut while other people are talking. We then get a short flashback scene, and this is interesting. It's not, as you might expect, a flashback to the events of the first game, or even any kind of backstory for the characters. Instead, it's a scene of Mega Man, at home, before Dr. Light calls. "Mega Man, please report at once to my laboratory!" Dr. Light had said urgently. Did that really necessitate a flashback? Miles has no clue what Mega Man would be doing at home, so she just reveals to us a totally unnecessary scene that sets up the exact dialogue we just witnessed. It's filler, and it's bizarre that she doesn't just write these things in sequence. 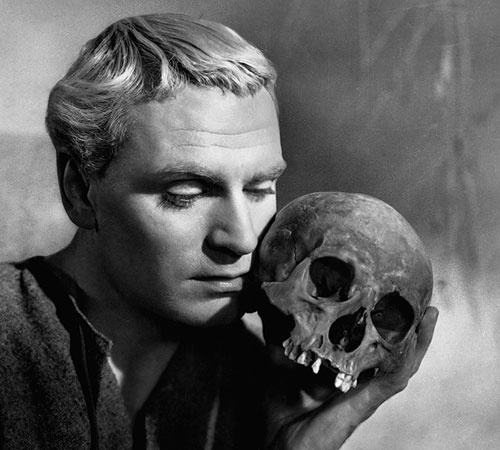 There's nothing artful about it, any more than it would be artful for your humble writer to say, "I spoke to my friend Bob on the phone, but you'll never guess what happened before that: the phone rang and I picked it up." There's an almost aggressive lack of imagination there, and it continues throughout the entire book. However there is one attempt made to turn the novelization into something legitimately interesting on its own: Dr. Light accidentally turns Mega Man into a real boy! Now that's a premise. That's something novel-worthy. And, like all great stories concerning the nature of humanity, this one begins with a cloning experiment gone awry. "And so, Mega Man," said the doctor, "I have decided to clone you. To copy your circuits and create another Mega Man. Two of you together ought to be able to get the job done." [...] "This won't hurt a bit. And when I open the door, there'll be two of you." Unfortunately the "Robo-Transometer XZ-4000" (available at all fine retailers) doesn't so much clone Mega Man as it does turn him into a living, breathing, human male, replacing his rubber skin with flesh and his gears and grommets with veins and bones. Which, truth be told, you'd think would be pretty amazing and worth maybe revelling in for a little while, but Dr. Light doesn't seem impressed and only apologizes for the inconvenience before sending Mega Man off to kill his personal nemesis. So we guess the novelization of Mega Man 2 is a lot like Pinocchio, only instead of Geppetto loving his creation so much he wishes it to life, it's Dr. Light wanting someone to go slap an old man. You'd think this development — the fact that an iconic robotic character is now a human being — would lead to interesting opportunities for the novel. Mega Man stirred. His head hurt. "My head hurts," he said. With writing like that it's hard to take anything seriously, which we guess means we should be grateful that no attempt was made to explore this newfound humanity, but it's still a little strange. In all honesty, when was the last time you encountered a story that dealt with a robot experiencing human emotions for the first time, only to have that robot say, "Huh. Cool I guess," and then never mention them again? The idea of turning Mega Man into a human being is solid enough for a jumping off point, but it poses a problem. In order to be true to the games, and to his abilities as we know them, he can't be a human. Humans can't breathe underwater or move fast enough to be invisible or consume energy pellets to heal themselves, but Mega Man, as a human, does all of these things in this book. It's almost as though Miles hit upon the idea to turn him human, realized pretty quickly it was more fun to write for robots, and then never bothered to write a second draft in which none of that pointless Robo-Transometer garbage ever happened. Scattered throughout the book are hints for the actual game, printed upside down so that they won't detract from the thrilling narrative. These range from the obvious ("Use the Metal Blade to cut right through Flash Man") to the outright false ("You need to freeze time to beat Quick Man"), and one of the tips is actually repeated twice. This, in conjunction with the book not being able to decide whether the antagonist is named Dr. Wily or Dr. Wiley, goes a long way toward betraying just how little effort was put into the Worlds of Power series. The story, as it is, is pitiful. 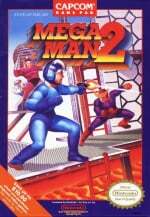 Granted, it's not as though the video game had a stellar plot or anything, but compared to this the video game version of Mega Man 2 looks like Hamlet. Even though it's a story about robots running amok and a crazed scientist trying to take over the world (the book, for what it's worth, keeps referring to it as taking over "the universe," but really, doesn't that just mean Earth? Do you really need to also rule uninhabitable desert planets and gas giants?) we don't see any of that. No, it's not worth writing about that stuff, because that might actually be fun. Instead, Miles just describes Mega Man hopping over minor enemies, making lame jokes, and then defeating each "superrobot" with his "Mega Gun." It's like somebody tried to novelize the game based on their vague memories of a Let's Play they watched six months ago, without making any attempt to figure out why these things are happening. It probably would have been a good idea to develop at least one other character. 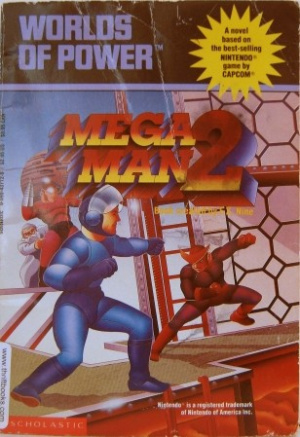 Air Man is introduced as a dangerous foe, but the fight goes the way all of them do in this book: Mega Man dodges the attack, counters, and wins. You might think we're summarizing. We're not; there's literally nothing more to the fights than that, and when the fights are the only thing you're writing about, that's a problem. Right in front of him was a mean-looking robot with flames shooting out of the top of his head. He was about three feet tall, and he was wearing a tuxedo. It was Hot Head. And he didn't look like he was about to move aside for Mega Man. Three feet tall? Wearing a tuxedo? 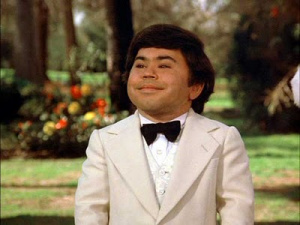 That's not Hot Head, that's Hervé Villechaize! This time Mega Man couldn't move quickly enough to dodge it. The now huge, heavy bubble rolled right over him, squashing him flat and knocking the air out of him. Then there was a faint beeping inside Mega Man's helmet. Dr. Light's voice came through. "Mega Man! Mega Man!" the doctor yelled. [...] "Take an energy pellet and get your Metal Blade ready!" Well, so much for suspense. We get all of the space between two sentences to believe there might be some tension anywhere in this story, but nope. Mega Man pops a pill — an excellent lesson for school children who are offered "energy pellets" by peers — and is more powerful than ever. He kills Bubble Man because, come on, it's Bubble Man. With half of Wily's "superrobots" down, Dr. Light calls Mega Man and tells him he's recorded a news-beam featuring Dr. Wily. Again, we have no idea what a news-beam is supposed to be...perhaps it's what Mega Man got from defeating Anchor Man. Either way, Dr. Light uses it to play back the salient points from Wily's appearance. There was a whirring sound, and then Mega Man heard Dr. Wily's voice. "Mega Man!" the evil genius roared. "You little pip-squeak. How dare you even think about destroying me! I am invincible!" Mega Man shuddered at the sound of such villainous boasting. Since we've been shuddering at the sight of such heinous writing, we'd say it's about time Mega Man shared in the discomfort. And if all Wily wanted to do was irritate Mega Man, why didn't he just call him directly? This sounds more like an intoxicated voicemail than something you'd announce on the news. 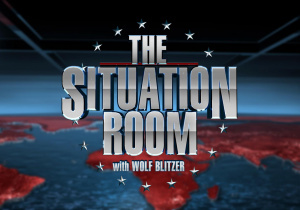 And speaking of that, why, exactly, is Dr. Wily appearing on The Situation Room? Isn't he supposed to be conquering the world right now? 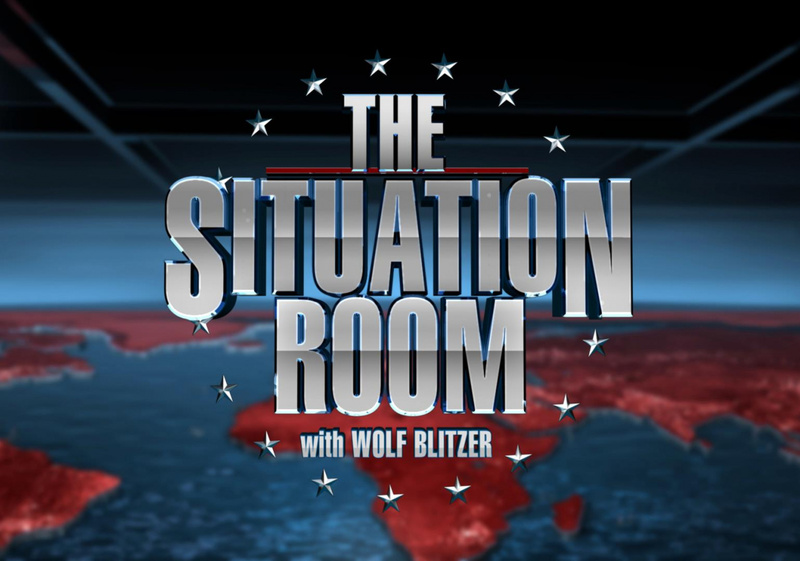 Why is he sitting down with Wolf Blitzer? Can't somebody just arrest this guy? Anyway, CNN cuts to commercial so they can work on patching Al Sharpton in from New York, and Mega Man goes back to fighting superrobots. "Out of my way, boys — I've got a date with your master." "So this is where Dr. Wily keeps Guts-Dozer." "You think you're a superrobot, but you're nothing but a stink bomb." "Doctor Wily must be watching me approach his castle," said Mega Man [completely unaware that the insane scientist was actually taking calls on Piers Morgan Tonight]. He stuck out his tongue and waved his fingers in the air. "Nyahh nyahh! Here I come!" he shouted. Why would anybody do that? Let us rephrase the question...why would anybody write that? We like Mega Man because he's a little guy who gets more powerful over the course of the game and has to use his cunning to make it through clever traps. In the novel, however, he's the annoying toddler you're stuck next to on a plane. The final stretch of the book features Mega Man quipping to himself as he hops around on platforms and murders minor enemies, all in service of inching closer and closer to the evil Dr. Wil(e)y. However, once he finally makes it there, something incredible is revealed! [...] He tumbled head over heels into a black void. Stars shone all around him. It was as if he'd been transported into outer space. [...] And then a huge green mutant alien appeared in front of his eyes. Mega Man jumped back. The alien came closer. BLAAAM! KAPOWW! [...] Had he destroyed the alien? He was almost afraid to look and find out. Slowly he took his hands off his eyes. He was not in outer space anymore. 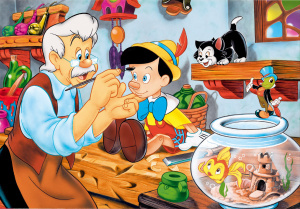 He was in Dr. Wily's laboratory. So there you have it. The climax to which the entire story has been building, and a major new twist, and it's all dealt with in around four sentences, plus a few sound effects. We can only assume this is because Miles was contracted for 75 pages and 75 pages only, so no matter how much story there should be left to tell, she figures she'll just blurt out the important stuff and end the book. We can only imagine her version of A Christmas Carol. It's 74 pages of Scrooge being a jerk, and one sentence that says, "But then some ghosts came and showed him stuff and travelled through time or whatever and now he's nice." That's it. The adventure is over. All that's left is to turn Mega Man back into a robot and...nope. Actually, there's not enough space left in the book for that. Instead we get a few lines of outright lies as Mega Man lists for Dr. Light the emotions he felt during his battles (we know these are lies, because his emotions in actuality consisted of "talking to himself," "jumping" and "eating energy pellets"), and he uses that as justification for not wanting to be turned back into a robot. According to Ellen Miles, Mega Man has been a human ever since. Of course, according to Ellen Miles it's perfectly acceptable to use the words "BLAAAM! KAPOWW!" in place of your novel's climactic fight scene, so take that with a grain of salt. Check back in 2015 for the third entry in this series! Or much sooner if you're nice to us. Were any of these books any good? I used to have a Zelda childrens book back in the early 90s. Moblins Magic Spear it was titled. I liked that one. I see you got round to doing your book club Phil, good job. Now lets read the old Archie comics of Sonic, let the horror begin! Oh my gosh, I haven't laughed so much reading an article here since the Mega Man X Miiverse one. You guys rock! There was a Road Rash book that came with Sega Power at probably about a similar time that I thought was pretty good. I dunno if I still would. I can't help feeling bad for this poor lady. What if she just happens to see this article? How do you think she'd feel, even if this is a wretched book? @MrPockets If you're releasing creative works into the world you can't expect that no one will ever review it, or that if they do it wont be without criticism. And according to Google Ellen Miles now writes childrens books about puppys and kittens, I'm not sure that a critique of something written 23 odd years (possibly about a subject she had little knowledge or interest in, which in my opinion seems kind of likely) would matter all too much. @Philip_J_Reed This is one of the funniest things I've read in a long time! You're very good at humorous/sarcastic writing. Thanks for the laugh, I needed it! Oh god you brought it back! I feel special! HAHAHAHA man this was hilarious! Awesome job Philip! I'll be doing all of them(!) so you can judge for yourself, but as of right now I wouldn't get my hopes up about any of them being very good. I'm jealous of your Zelda book though...I had some fun Mario ones, but no Zelda! Yep...honestly, I owe this to you. If you hadn't mentioned it on the forum I think I would have gone on forgetting about this entirely. So thank you! Thanks for the kind words! Glad you enjoyed it. It almost made reading this thing worth it. If I want to read a version of a Megaman game, I'll re-read Bob And George, as in the Sprite Comic. How is the hint about freezing time against Quick Man false? Flash Man's power drains a significant portion of his health. Doesn't kill him, outright, but it's still useful against him. How is the hint about freezing time against Quick Man false? Because you don't need to freeze time to beat Quick Man. Oh man! Franchise milking really knew no limits back in the time! ... but I wonder if Capcom even read this before approval? I wouldn't believe them if they said they 'quality-checked' this. "BLAMM! KAPOWW"!!? What da hell are those comics sound effects doing in a novel!!? @Cinaclov I was half-joking when I was talking about her feelings. This is book is just so laughable! Also, I just googled her too. As it turns out I have one of her books lying around in my house from many years ago.... :l I knew I didn't like that book for some reason. It use to piss off my 6th grade teacher whenever I read this series of books and did reports on them. Thanks! And now that you say that, the text of this book is probably similar to the way I'd describe the story of Mega Man 2, while in the throes of a strong flu and Nyquil.